Home » Crypto Journal » How do Mining Pools Work And How To Choose a Pool To Join? A Mining Pool is a protocol for a group of miners to work together, in order to smooth out their mined coins. So, bitcoin mining pools are a way for Bitcoin miners to pool their resources together and share their hashing power while splitting the reward equally according to the amount of shares they contributed to solving a block. The mining pool coordinates the workers. It’s just like a lottery pool. Your odds of winning a lottery are very low, so you team up with a bunch of other people and agree to split the winning. This makes your odds of winning much higher, but the amount you win much lower. Miners mine differently by running pool software instead of the bitcoin client and just performing hashes for the pool. How do I get paid in Pool? Why do pools use a different difficulty than the blockchain difficulty? What is stopping miners from cheating in Pool Mining? The pool operator randomly verifies a small portion of the work submitted by each member of the pool. The member miners don’t know which of their submissions will get verified so they can’t cheat. If they cheat once in a while they might get away with it but not for long enough to matter. Traditionally, pools gave miners work units covering the entire nonce range 0-4,294,967,295. When the miner finishes work, he requests a new work unit with a different extraNonce (or payout address). Different miners also get work units with different details. To reduce load, pools are now moving on to a setting where the miner can himself change details of the generation transaction and compute the Merkle root, so he can do as much work as he pleases without needing new assignment from the pool. Broadly speaking, there are two ways of paying pool miners. The first way is to have a wallet and send payments to miners through that when they ask for them. The second way, which both eligius.st and p2pool use, is to keep track of how many shares people get, and set the coinbase transaction to pay the block reward directly to them once a block is found. This has the advantage that you never have any Bitcoins to steal on your pool server. A share is a hash smaller than the target for difficulty of 1* (see clarification at end). Every hash created has a 1 in ~4 billion (2^32) chance of being a valid share. In comparison if the difficulty of network is 2,000,000 then a share is 2 million times “easier” to find than a valid hash for the block, and on average it will take 2 million shares (8 quadrillion hashes) to find a valid hash for the block. Shares have no actual “value”. To the bitcoin network they are worthless. The only hash with any value is the one that is smaller than the target (determined by difficulty). What is bitcoin mining all about? 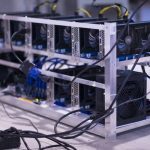 Is it profitable to mine bitcoins in 2018? Want to know what are best asic miners? What is pool mining and which mining pool is legit to join and earn crypto? Read our reviews of Genesis mining and Hashing24. Because the goal is to track work attempted in a verifable manner. If a pool used a difficulty equal to the block difficulty then only one share would be found per block and it would be found by the miner who solves the block. All rewards would go to the single share holder and essentially you invented a long complex round about way of solo mining. Contrary to popular belief, mining is not something where there is progress. Each hash has the same probability of being a valid block hash. You could get lucky and find a valid hash with your next hash, or you could not. There is no progress that is made. When you mine on a lower difficulty, the target that your hash must be under is much higher than that of the networks. With enough hashes, someone will eventually find a hash that is lower than the network target, and that hash would also be lower than their pool target. The higher target (thus lower difficulty) is only for tracking who is actually doing work and how much work they are doing so that they can be paid appropriately. The pool sends you the template of the block that you ought to be working on. Should you really find a block it is bound to the block template you received from the pool, i.e., the nonce that satisfies the proof-of-work difficulty is only valid because it is valid in combination with the template. Since the block template also includes the coinbase transaction, transferring the reward to the pool operator, you cannot steal the reward. If you mine in a pool, you take the pool fee right off the top. A 3% pool fee means you make 3% less. Also, most pools don’t pay transaction fees. But your revenue is more predictable. You’ll get paid on a regular basis and your payments won’t vary much. One disadvantage of a mining pool is its centralicity – most pools today have central nodes that can be DDOSed, and if not configured accordingly when a DDOS happens the miner will just sit idly instead of reverting to a different pool or to solo mining. Unless you have a lot of computing power (several ASICs), you should probably mine at a pool. There is P2Pool and Pushpool being the two options to get your own pool running. These provide the backend services, the GUI must be built by yourself with any features you may wish to include. Building a user base may be difficult but with merged mining it may increase profit for running such an enterprise. What is the criteria you should consider when choosing the right mining pool to join? Well, most of the below listed criteria points are rooted in basic common sense, like fees (the lower, the better), pool reputation and uptime. Trustworthy pool operator ties into the pool reputation factor that we mentioned above. You don’t want to mine for people that will scam you out and run away with your money. This is probably the most important criteria to examine: do your research on the internet, ask questions in mining and crypto communities to see if there are negative reports and personal experiences with the pool. Fees are self-explanatory; the lower the fees a pool charges for itself, the more money is left for you. Industry standard is around 1% so anything around that figure is basically the norm. When joining a pool you certainly don’t want to be part of a pool that has just a bit more hashpower than you. You want the pool to have a big hashrate to make sure it will mine a lot of blocks and your payouts will be regular. Server location and uptime – location plays role because of the latency – you need to be quick in broadcasting that found block, especially when mining a coin with huge hashrate and big mining difficulty. Uptime is a big deal. Just like with regular websites, if it is offline when someone visits, the owner loses money. Same with mining pool servers – if they are offline, all miners in the pool lose money as nothing gets broadcasted to the blockchain. Payout schedule is also a minor factor. It is an individual preference as some people like few bigger payments while others like a lot of smaller payments. If you need to choose, the latter is better just in case something happens with the pool – you don’t lose too much in that case. 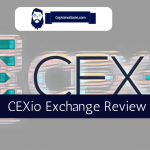 CEX.IO Exchange Review 2019 - Is This Safe and Legit Exchange? Can the mining pool with the most mining power always win?